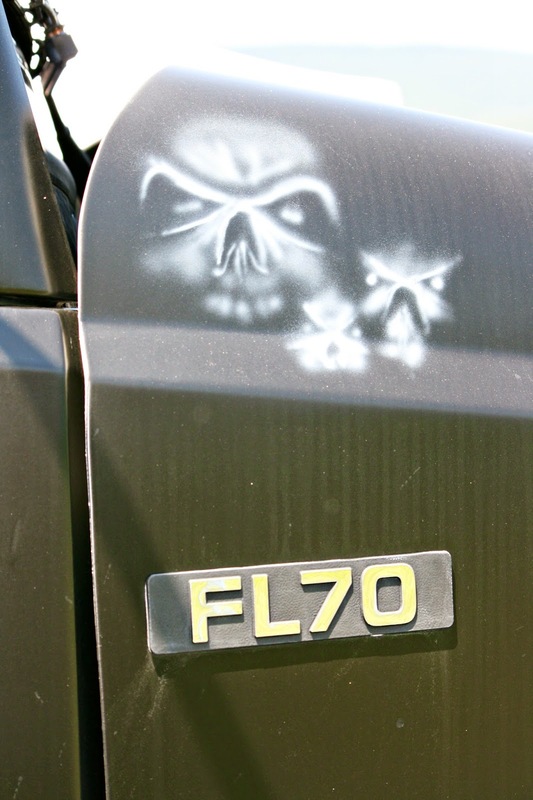 Indeed, this truck was a little black, and a lot menacing. Check out the dashboard on the inside. Can you see all the skulls? And the glowing skull plugged into the cigarette lighter? This is one truck I wouldn't recommend tailgating! What about you, readers? Have you seen any ghost trucks lately? Happy fifth birthday today to Cort and Reid! We have lots of fun planned today, which I'll be sure to share in the near future. I know the boys loved seeing this unique truck. Have a great birthday weekend. Happy Birthday Cort and Reid! I think the boys named the ghost truck very well; sure wouldn't want to tailgate it! 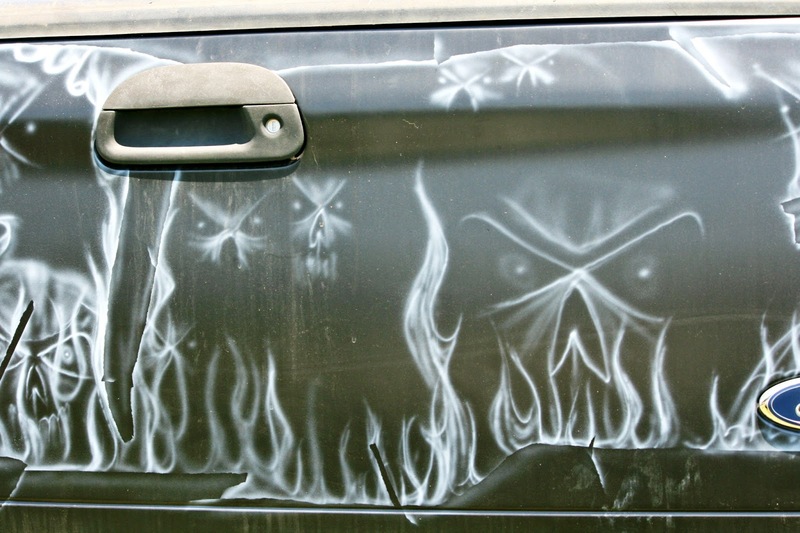 Know that the boys must have been very excited to see this very 'mean Looking" truck. What a fun birthday outing. The boys had to like that truck and the show, they will have stories to tell next week in school. Of course carrie would go back to school and say she didn't do anything all summer for some reason even though she was busy all the time. and, no, i'd not encroach on that truck's space! That car is really detailed!!! Happy Birthday Cort and Reid, have a fun party. I haven't seen a truck like that before. Happy Birthday to your boys!!! Mica turns 9 on Sunday. Not too far off from their birthdays. Yes, it really IS a ghost truck! I can't wait to see what else they did! I have not heard of this event! You find the coolest things! Twins birthday parties are always twice the fun!! Nope. too scary for me!!! Happy birthday, indeed, to the twins! What a great place to celebrate, among the ghosts and all. It isn't until you see such a truck arrive in your yard with no driver that you should be the least bit worried. Blessings and Bear hugs, Lisa Bear. I think that's Charles Manson's old ride. Look so interesting! Happy bithday to your twins. August 8 is my daughter's birthday too. What is our fascination with skulls? Kinda cool but -They seem to be everywhere!!!? You know, graphics like that are becoming main stream . . . not my favorite idea . . And, nope, I've never seen a ghost truck, but I'm certain the idea will catch on. Knowing the Birthday Extravaganza will be a great memory forever . . You are such a Great Mom. 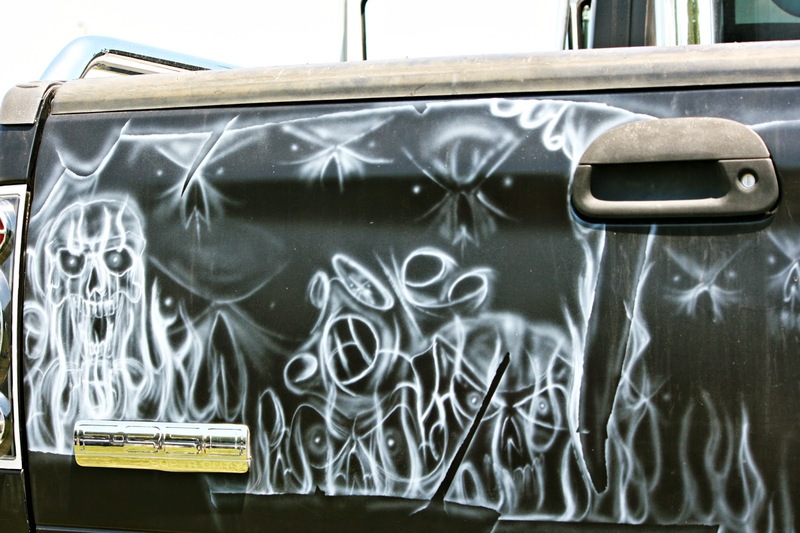 Now that's a different way to paint a truck. Never saw one like that! Happy birthday to the twins! Happy Birthday boys! And that is one really cool paint job. Cool truck! 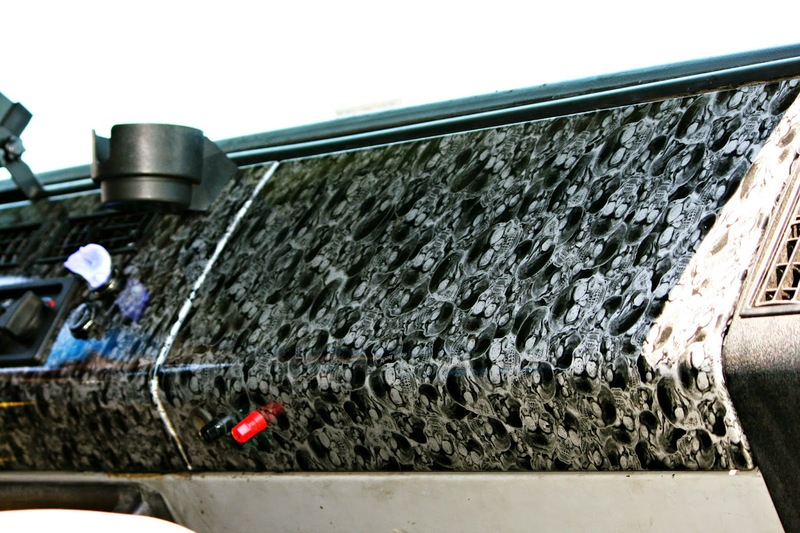 Not my style, but it seems like there are so many ways to detail your vehicle nowadays to your own specifications. I hope Cort and Reid had a great birthday! Happy belated birthday to the boys. I hope that had fun on their big day. No ghost trucks sighted here, but my nephew is all about monster trucks and his family travels here there and everywhere to give their little son a zoom zoom fix. I hope the guys had a wonderful birthday! A big happy birthday to them! Turning 5 is Huge! I know the boys had a blast. The tailgates I see here have dents that look skeptical to me...like buckshot. Yes, even in Scottsdale!